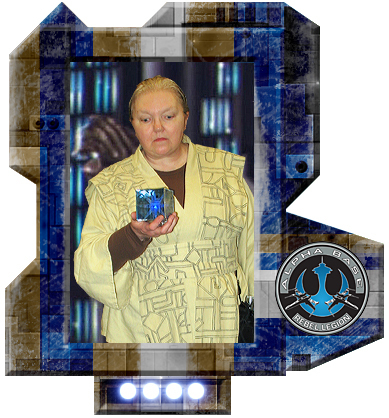 Jocasta Nu style costume. Light Yellow/tan tunic, tabbards and obi. Brown undertunic/shirt and skirts. Brown boots. Pouch.